What causes reflux laryngitis? Can it affect the vocal cords or cause cancer? What are the symptoms and signs of reflux laryngitis? How is reflux laryngitis diagnosed? What OTC, prescription medications, and surgery to treat acid reflux? What are the difficulties in diagnosing reflux laryngitis? Reflux laryngitis is inflammation of the voice box (larynx) caused by stomach acid backing up into the esophagus (acid reflux, gastroesophageal reflux disease, GERD). Heartburn is the most common symptom of reflux laryngitis. Granulomas (growths on the vocal cords). Other causes of reflux laryngitis include obesity, tight clothing, or hiatal hernia. Medical treatments for reflux esophagitis include medications (acid blockers or proton pump inhibitors), or surgery. Behavioral modifications such as weight loss, quitting smoking, sleeping with the head of the bed elevated, and dietary changes can decrease symptoms of reflux laryngitis. Rarely, reflux laryngitis may be a risk factor for developing esophageal cancers. Foods and drinks can cause heartburn and acid reflux or GERD, for example: 1) alcohol, because it relaxes the lower esophageal sphincter, 2) caffeine, 2) chocolate, 3) peppermint, 4) garlic, raw onions, black pepper, and spicy foods, 5) tomatoes, and 6) citrus fruits and juices. Reflux is caused by weakness in the muscle at the junction of the esophagus with the stomach. Normally, this muscular valve, or sphincter, functions to keep food and stomach acid from moving upward from the stomach to the esophagus and larynx. This valve opens to allow food into the stomach and closes to keep the stomach's contents from coming back up. The backward movement of stomach contents (gastric contents) up into the esophagus is called gastroesophageal reflux. Moreover, any increase in abdominal pressure (such as obesity or tight clothing, which can push acid back from the stomach up the esophagus) or a person with a hiatal hernia will have an increased risk for reflux. When it causes symptoms or esophageal inflammation it is referred to as gastroesophageal reflux disease (or GERD). When the acid backs up into the voice box (larynx), the condition is referred to as reflux laryngitis. growths on the vocal cords (granulomas). Rarely, reflux can lead to cancers of the esophagus or larynx. Heartburn is the most common symptom associated with reflux. The American College of Gastroenterology estimates that more than 60 million Americans experience heartburn at least once a month and some studies suggest that more than 15 million people experience heartburn symptoms each day. The incidence of GERD is on the rise, and the rise in obesity is believed to be a contributing factor. In addition to heartburn, reflux severe enough to cause laryngitis can cause chronic hoarseness, asthma, or a foreign body sensation in the throat (globus phenomenon). Considering the high prevalence of GERD, reflux laryngitis and its symptoms are uncommon. Diet, home remedies, medications, and lifestyle changes to treat acid reflux, heartburn, and reflux laryngitis. Avoid large meals at dinner. 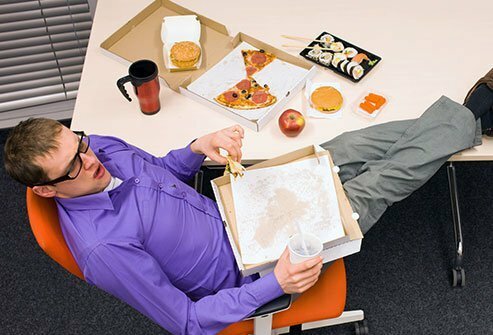 Avoid eating before bedtime, and allow several hours after eating before lying down to allow the stomach to empty. Avoid spicy or fried foods, peppermint, citrus, tomatoes, onions, and chocolate, especially if these foods increase symptoms. Avoid alcohol, caffeinated beverages, and tobacco. Elevate the head of the bed with wooden blocks under the bedposts to allow gravity to keep the acid in the stomach. Pillows under the head are not helpful, however, wedges that elevate the head and upper chest are effective. Lose weight to reduce reflux. There are several different types of medications available over the counter (OTC) or by prescription. Antacids neutralize stomach acid and give immediate relief. Popular choices include sodium bicarbonate (Alka Seltzer), calcium carbonate (Tums, Rolaids, Alka-Mints), and aluminum and magnesium antacids (Maalox, Mylanta, Riopan, Gaviscon). Use antacids 30 to 60 minutes after each meal and at bedtime because they are more effective at these times. People on a low sodium diet should avoid sodium bicarbonate. Calcium and aluminum can cause constipation, while magnesium antacids can cause diarrhea. Patents with kidney disease should avoid magnesium and aluminum antacids. Check with your pharmacist or doctor for any interactions with other medications you are taking. Drugs such as nonsteroidal anti-inflammatory drugs (NSAIDS), theophylline (Theo-Dur, Respbid, Slo-Bid, Theo-24, Theolair, Uniphyl, Slo-Phyllin), anticholinergics, and calcium channel blockers should be avoided if feasible, but discuss discontinuing any medication with a doctor first. The acid-blocking drugs (famotidine [Pepcid], cimetidine [Tagamet], nizatidine [Axid], ranitidine [Zantac]) are known as H2-blockers. These are available without a prescription. However, their strength may be inadequate. Other valuable medications include metoclopramide (Reglan), which helps to empty the stomach more rapidly; or proton pump inhibitors, such as omeprazole (Prilosec) and lansoprazole (Prevacid). If conservative therapy and medical therapy fail, surgery may be necessary. Traditionally, fundoplication, a procedure that serves to strengthen or recreate the muscular valve (lower esophageal sphincter), requires significant surgical work and hospital stay. Surgery or fundoplication also has been able to be done with an endoscope, which shortens the hospital stay and recovery. In some patients it appears clear that the laryngeal symptoms - hoarseness, cough, sore throat - are due to reflux, for example, in patients with marked heartburn and regurgitation of acid. In most patients with laryngeal symptoms - those with milder heartburn and no regurgitation who comprise the majority of patients in whom reflux laryngitis is considered - it is not as clear. Examination of the larynx may reveal redness and swelling, but many diseases of the larynx as well as reflux can cause these signs. There are difficulties with using symptoms to diagnose reflux. For example, cough may occur when there is reflux into the esophagus. Refluxed liquid does not need to reach the larynx. Finally, it is unclear whether refluxed liquid from the stomach that is not acid can cause reflux laryngitis, and there is no way of testing whether or not non-acid liquid is reaching the larynx. Many physicians use a trial of potent acid-suppression with PPIs to try to prove that acid reflux is the cause of the laryngeal symptoms. The problem with a trial of PPIs is that some symptoms such as cough and throat clearing can be caused by habit, and the PPIs may have a placebo effect. Thus, a response to PPIs may not be proof that reflux is the cause of symptoms. Amirlac, B, MD. Reflux Laryntitis. Medscape. Updated: Sep 25, 2017. What are your symptoms associated with reflux laryngitis? What medications have been effective in treating your reflux laryngitis? What home remedies such as OTC drugs, home remedies, and lifestyle (diet, exercise) changes have helped your reflux laryngitis? Please describe your experience with reflux laryngitis. Esophageal manometry (esophageal motility study) is a test used to determine how well the muscles of the esophagus works when diseases of the muscle are suspected. Esophageal manometry is primarily used to evaluate the esophagus when gastroesophageal reflux disease (GERD) is suspected, to determine the cause of problems swallowing food (dysphagia), or when there is chest pain that may be originating in the esophagus. Take this online Fat & Fats Quiz to learn if you really are what you eat!